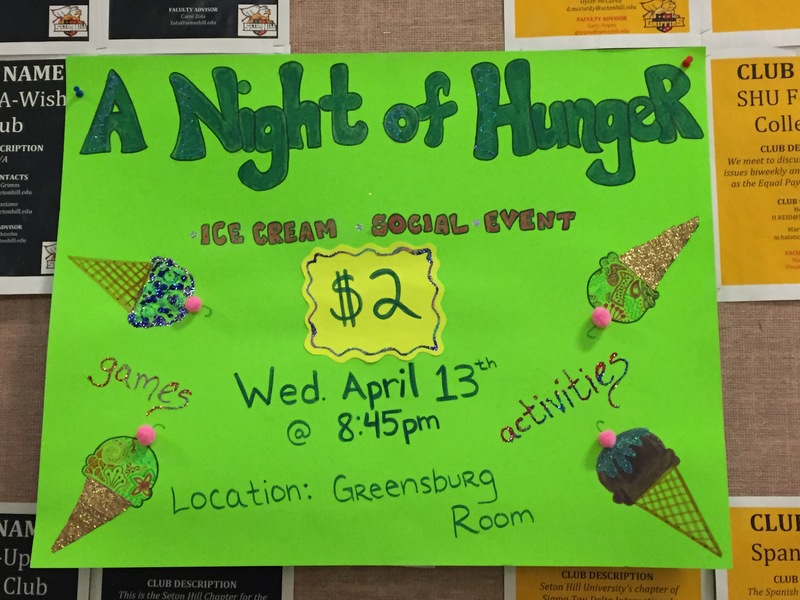 Ice cream and social justice might not seem like similar topics, but one group of Seton Hill University (SHU) students decided to put them together to raise money for a good cause. 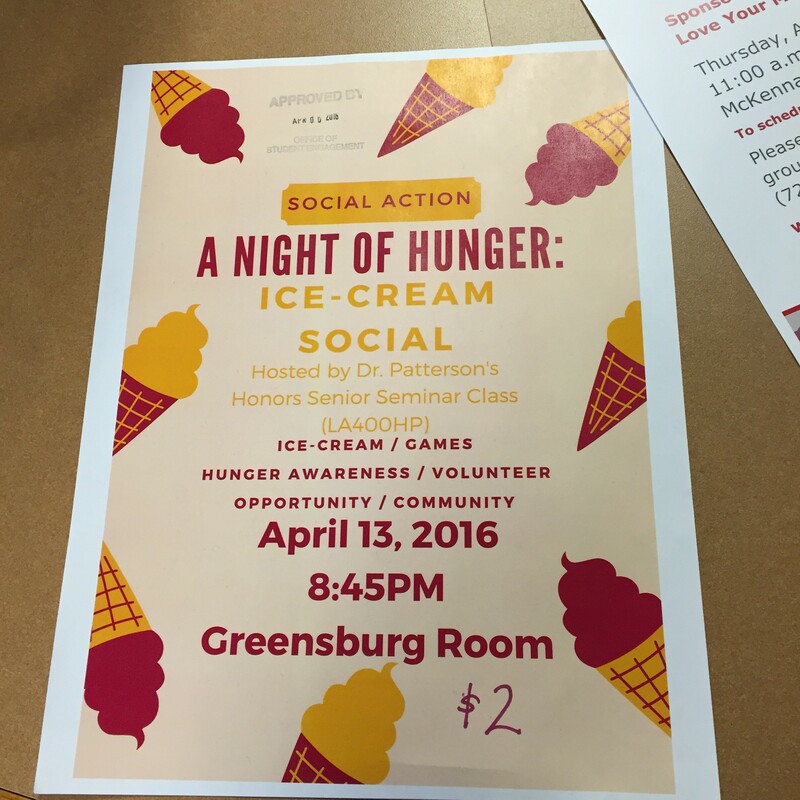 The group of 12 students hosted an ice cream social, “A Night of Hunger,” on April 13 in the Greensburg Room. This was part of their Senior Integrative Seminar course with Laura Patterson, professor of English at SHU. All proceeds are going to the Westmoreland County Food Bank. The event began with games related to the theme of hunger awareness, followed by a presentation by Patterson’s class on statistics of hunger in the area. Devine said she was most excited to see how people would react to this procedure of passing out ice cream, which remained a secret until that night. 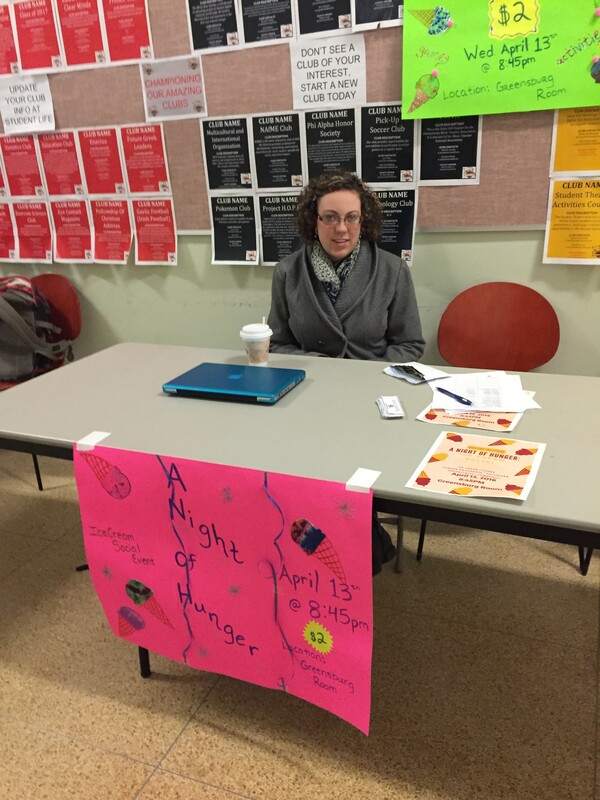 “The ice cream social is working as a twist in educating the people on campus on hunger within our community, as well as physically representing what hunger in our area looks like,” Devine said.